Reusable Bimanual Irrigating Units come in 21 gauge or 23 gauge cannula tips size options. 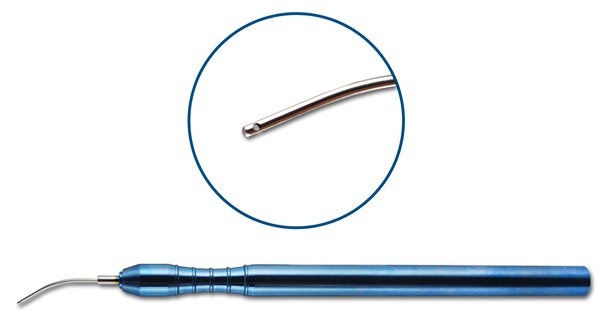 Each cannula tip has a straight or curved shaft and various tip types. Irrigating handle is titanium. Overall length: 111mm. 21 gauge cannula tip, straight shaft, open ended. 21 gauge cannula tip, curved shaft, open ended. 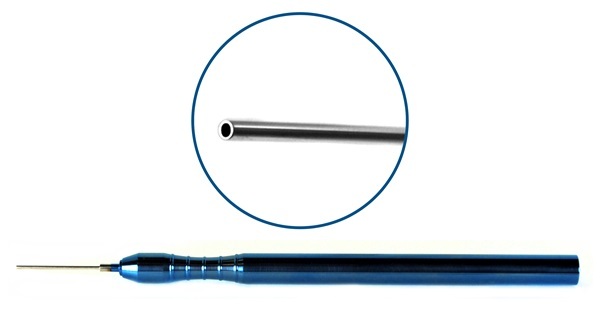 21 gauge cannula tip, straight shaft, 0.5mm dual ports, closed rounded tip. 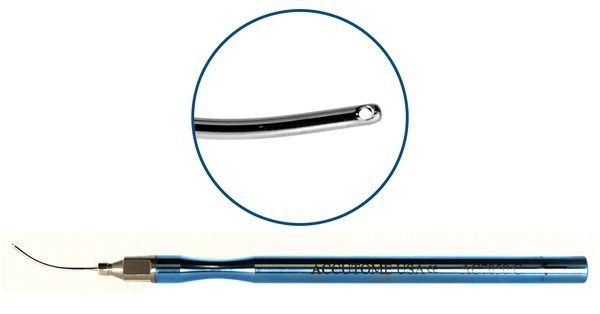 21 gauge cannula tip, curved shaft, 0.5mm dual ports, closed rounded tip. 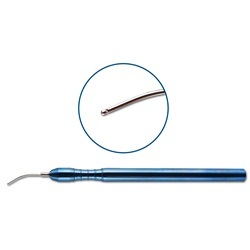 23 gauge cannula tip, thin wall, curved shaft, 0.4mm dual ports, closed rounded tip. 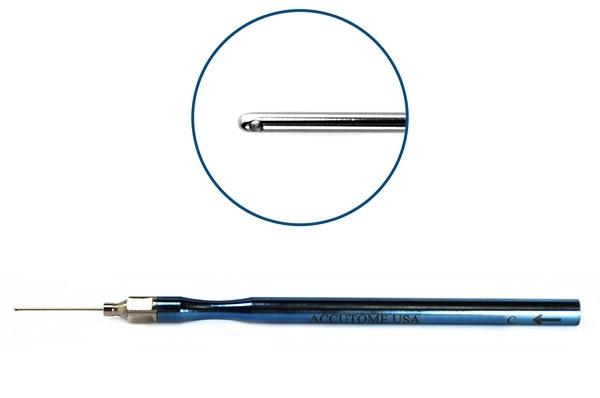 23 gauge cannula tip, thin wall, straight shaft, 0.4mm dual ports, closed rounded tip.